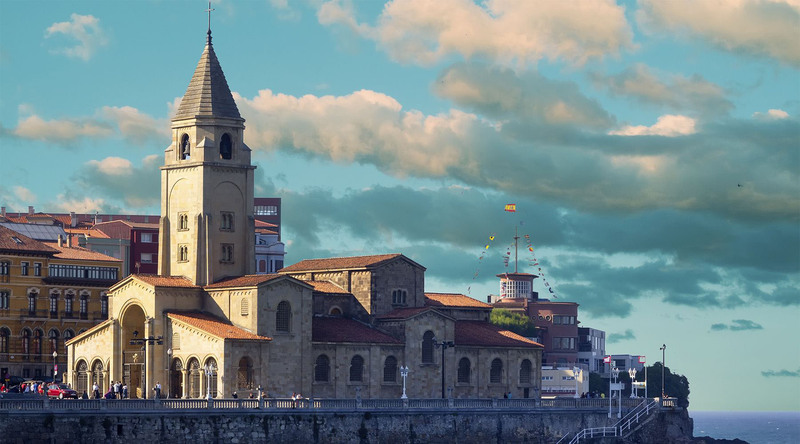 While not as overtly glamorous as some of Spain’s other coastal cities, Gijón is the apple of the Bay of Biscay’s eye. And speaking of the fruit, what wine is to Rioja, cider is to Gijón and the surrounding region, Asturias. Follow the Cider Trail—a guided tour to some of the best cider houses and restaurants in the city—to get a taste for this important cultural tradition. For more local culture, the Ecological and Crafts Market of Gijón features local crafts made in traditional methods, from environmentally friendly materials. More than just a place to pick up a unique souvenir for the folks back home, the Crafts Market is a fascinating glimpse into the historic arts and crafts of the area. And if abundant amounts of cider and one-of-a-kind crafts aren’t enough to get you packing your bags, Gijón has the distinct honor of having the largest number of bakeries per capita in all of Spain. It’s rumored that the best croissant in all the land can be found in this charming city as well. But we’ll leave that up to you to discover, after all, finding it is half the fun! The Ecological and Crafts Market aims to preserve local crafts and traditions through using environmentally friendly and ecologically sustainable products. Visit to get a glimpse into the area’s traditional arts and crafts forms. Enjoy getting to know more about the region’s massive cider industry on a self-guided tour to some of the best bars and restaurants serving up the golden elixir. Hike to the headlands for a spectacular view of the entire city of Gijón and to see Eduardo Chillida’s massive stone sculpture, the Eulogy to the Horizon, the city’s most recognizable symbol. Embark on a sightseeing drive that brings you the best of Asturias and stops to appreciate vistas that are simply too spectacular pass by. Visit a local cider mill where you’ll explore the rich heritage of apple cider in Asturias and enjoy a traditional rural lunch called an “espicha”. Celebrate the life and times of Oviedo’s hometown hero and Formula One racing legend, Fernando Alonso, who is still making racing history today.